Half Marathon PR was in 2016's race! I always tell people that my favorite morning of the year in Columbus Ohio is the Sunday morning in October that the Columbus Marathon and Half Marathon Race falls on! This year’s edition is this Sunday and to celebrate we are including it as our Adventure Destination blog today! I have run my only marathon in this race and I have run 4 of my 7 half marathons here! While I signed up for the 2017 race my wife and I will be out of town now…but I actually trained anyways and this morning ran 13.1 miles on my own 48 hours in advance of this race. Striking the PR Gong in 2016. I guess I was just making sure I got things kick started for a wonderful weekend! Why should you train for a marathon or half marathon? Running is an amazingly healthy activity and something that challenges you both physically, mentally, and can create spiritual benefits for you as well. I know very few people who have ever chosen to train and run one and then regretted it looking back on it. Ask them on mile 12 or mile 20 and they might regret it then…but not a few days later! It’s the best one in the country that’s why! It works with Nationwide Children’s Hospital and each mile is sponsored by a different child or family who has been in children’s hospital. If the child is able to they come out and cheer on the runners with their family and friends at each mile marker. Yes tears will flow as you run by these children and families. And it should also inspire you to strive to keep running and not give up! Ok I am in! What else should do I do in Columbus? Throw in the fact that it's a beautiful fall Sunday and you can couple your visit with stops to places like the North Market, Franklin Park Conservatory, rock climb at the Scioto Audobon Metro Park or kayak down the Scioto River, do restorative yoga to recover at Yoga On High, stop by incredible craft breweries like Rockmill and Seventh Son, and of course...if you are a football fan...take a pic at The Shoe. Running races in different cities are great ways to explore new places! The whole city is united and behind it and you get to see different neighborhoods, amazing people, and run with a unified purpose with thousands and thousands of people. I can think of no better way to travel the world than by picking out half marathons and exploring them before and after the race. And this one is my favorite! Don't forget to read Born To Run prior to training to get all hyped up about running! 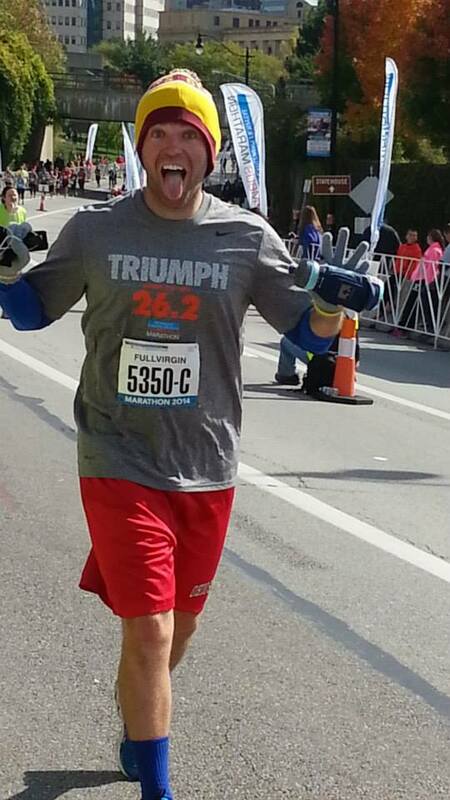 To all the runners this weekend…have fun and be safe…I’ll be there in spirit with ya! 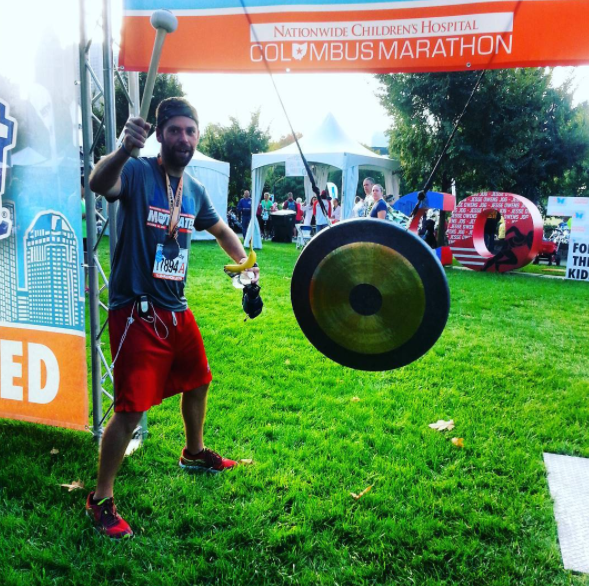 Have you ever run the Columbus Marathon? Or traveled for other races? If so what are some other great ones? My runner up race is the Valley to the Sea in Maui! Sign up in the footer for our emails to be auto entered for our special giveaway!